What if your library’s usage and expenditure reports went beyond how your users leverage your resources to tell the story of why they use your resources? What if these reports combined statistics with demographics so you could determine how to best serve individual user types? Gaining this level of insight often takes hours of research and requires collecting data from several disparate sources. 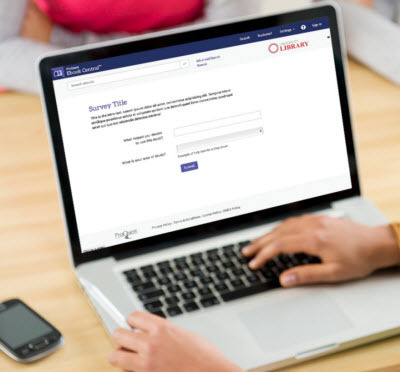 With ProQuest’s Patron Analytics, you can skip that time-consuming process and dive straight into collecting real data by querying patrons directly through customizable surveys. 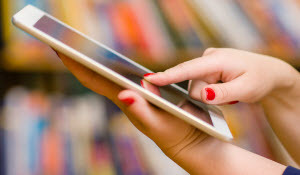 Users are only asked to complete a brief survey one to five questions long the first time they access the Ebook Central online reader. When they do, this custom data is collected in LibCentral’s usage and expenditure reports to offer greater detail about patterns of usage and patron-triggered expenditures. This may sound familiar to former EBL customers as this feature was most recently offered on the EBL platform. Customers who formerly used EBL have seen the feature automatically re-enabled on their Ebook Central account complete with data collected on the legacy EBL platform. All other Ebook Central users can easily enable this optional feature in LibCentral by going to UsersPatron Analytics to customize the survey and start collecting data that will help showcase their library’s value. Since the opportunities offered by Patron Analytics are practically endless, we wanted to help you get started by sharing how librarians have leveraged this unique feature to better understand their users. 1. Ask questions about department to empower liaison librarians. Including a question about department will help you to more closely tie usage to specific fields so that you can determine which fields are already seeing the most value from the library’s services — and which fields could use a nudge to start taking advantage of the wealth of resources available to them in the virtual stacks. 2. Collect data about campus (or office) location to make the case for resource allocation. It’s not unique for a library to serve multiple physical locations. Add in the distance users, and you’ve got a range of access points and the potential for some being more convenient than others. Including a question or two about campus (or office) location on your customized Patron Analytics survey can help you to determine what groups already feel that the library and its resources are accessible and what locations might need new programs to help drive discovery and increase access. 3. Query user types to highlight opportunities for collaboration. Are most of your users students? Are they faculty members who curate resources to share with students? If you’re in the corporate world, are you serving mostly C-suite executives who disseminate the information to the rest of the company? Or, does the role of communicator vary from department to department? Once you identify the community’s connection to your resources, you can offer more support to that person and take advantage of an established connection of which you may have been unaware. ProQuest’s Patron Analytics makes it easy to collect the information you want — just include a question that asks for the exact information that you need and we’ll worry about integrating it into your LibCentral usage and expenditure reports. For more information on ProQuest’s Patron Analytics, log in to LibCentral and access the feature guide from the LibCentral homepage or Help Documents section. What if you could customize your library’s book usage and expenditure reports to provide more insight into your users? What if these reports combined statistics with demographics so you could determine how to best serve individual user types? Gaining this level of understanding often takes hours of research and requires collecting data from several disparate sources. 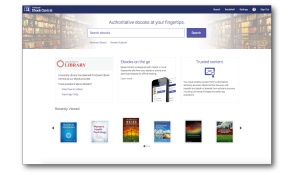 Customers who formerly used EBL have seen the feature automatically enabled on their Ebook Central account – complete with data collected on the legacy EBL platform. All other Ebook Central users can easily enable this optional feature in LibCentral by going to Users → Patron Analytics to customize the survey and start collecting data that will help them understand and respond to trends, increasing the impact the library can have in the lives of its users. The opportunities offered by Patron Analytics are practically endless. Need some help getting started? Here are the top three ways librarians around the world are putting this feature to work. 1. They’re asking questions about their users’ departments. Including a question about department will help you to more closely tie usage to specific fields, revealing which fields are power users and which could use a nudge to take advantage of the wealth of resources available to them in the virtual stacks. 2. They’re collecting geographic data. Libraries often serve multiple physical locations. Including a question or two about campus (or office) location on your customized Patron Analytics survey can help you to determine if some geographic groups are underserved and might need new programs to help drive discovery and access. 3. They’re defining user types. Libraries around the world are using Patron Analytics to eliminate the guesswork that often accompanies virtual service: WHO is the library serving? Students? Faculty members? 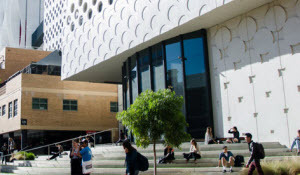 Are they curating resources to share with students or working on research? If you’re in the corporate world, are you serving mostly C-suite executives who disseminate the information to the rest of the company? Patron Analytics enables libraries to define the most fundamental traits of their users. Collect the information that will make a difference in your library. Just configure your questions. Then, sit back while Ebook Central collects data and creates usage and expenditure reports that make a difference.